GS4 with TouchWiz vs GS4 Google Edition: Google Edition wins! So, we ran that poll last week, asking you which Samsung Galaxy S4 version you'd prefer: the one with Samsung's own TouchWiz user interface, or the newer one that's sporting a clean, stock Android Jelly Bean OS. As you might expect, we got quite a bit of activity, ending up with a total of 2041 votes. Of that, close to 58% voted in favor of the Samsung Galaxy S4 Google Edition (1174 votes), while 42% preferred the regular Galaxy S4 with TouchWiz UI. While we're not exactly shocked that more people seem to prefer the Galaxy S4 with stock Android, we're actually a bit surprised to see the GS4 TouchWiz hanging so well against its Google-supported counterpart. The Google Editioned managed to gain some significant lead, but all in all, our poll proved that there are a lot of people out there who enjoy Samsung's TouchWiz experience, with all of its pros and cons. And what about you? If you've missed to vote in our poll last week, now's the time to let everyone know what you think by dropping a comment below! I prefer the Galaxy S4 with TouchWiz! I prefer the Galaxy S4 Google Edition! I prefer the Galaxy S4 with TouchWiz! I prefer the Galaxy S4 Google Edition! If that many tech junkies like TouchWiz, then it would certainly be the mainstream favorite among ordinary people. I think iphone, Sony, HTC, MOTO and other fans, selected Google Edition, due to their hate for Sammy. I think touchwiz is the best android skin, lets just be honest. someone can disagree with me for the love of their favorite brand, but deep down they know TW is da best. Im an iphone user and i wish i had all wat S4 user have. gimmick or not. it is better to have it than not to have it. the word gimmicky is used these days to justify hate against a brand. as per functionality...definitely TW is best..
Photosphere not innovative? Google Now not innovative? Interactive notifications not innovative? Please. The main reason touchwiz had the 0.5 seconds of lag was because of transition effects, which can be disabled in developer options. Other than that, the main advantage of the stock android over touchwiz are fast software updates, more internal memory and more support from developers. But I still prefer touchewiz because of the unique features and the camera is more fun to use. Both vanilla and touch wiz are good. Just that personally I prefer touch wiz for its floating apps and advance camera features. I personally prefer stock more but touch wiz does have some good features. However many of the features you can get on any android through the play store, like smart stay smart alert, gesture control etc and the great thing is if you don't want it you can uninstall it. Which you can't do on touch wiz granted it's more optimised with the os on touch wiz compared to apps. I want a CyanogenMod option. TW is the most feature packed launcher that's why why so many people hate it. They are just jealous, I have been using my note 2 for 6 months now and I can't keep a custom tom which isn't TW for more than a day. I I start to miss the features of TW and I go back. TW is the reason Samsung fons even sell well. 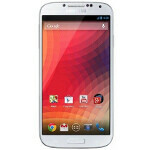 My Sam G S4 Google Edition is on order. Now, I am a fan of stock android so I will most likely gravitate toward the GE, but I will probably just hack my Touchwiz device being I don't feel like changing to a GSM compatible carrier. Not a fan of Touchwiz at all, and I say that having used it for over a month now to see, and waiting for some more stable roms. My PR at work took a couple days to get pushed through the chain so no telling how long it will be before I get my hands on the device. Lets hope for a fast supply chain. What is the point of a GS4 with stock google? You lose pretty much all of the features that make it unique, including a way better camera experience and you stil have to wait for updates from Samsung. Yes, it might run better than it's laggy counterpart, but you lose more than you gain. I meant memory it uses Typo sorry!